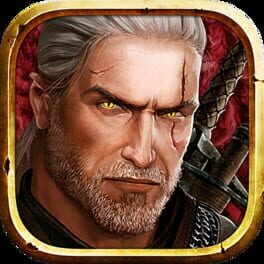 The Witcher Adventure Game takes players on a journey across the world of The Witcher as they assume the roles of four distinct characters known from the books and video games: Geralt of Rivia, monster slayer; Triss Merigold, cunning sorceress; Yarpen Zigrin, dwarven warrior; and Dandelion, roguish bard. Each character has unique skills and multiple ways of overcoming obstacles—the choice is yours: do you fight your way to victory, call on your charm, or try your hand at diplomacy? A variety of quests invite players to hunt monsters, earn gold, and interact with the characters they meet in a web of alliances and treachery—a wild ride that starts as soon as you sit down to play, thanks to clear, simple rules and intuitive mechanics. Players may assist one another from time to time, but make no mistake—there can be only one winner.